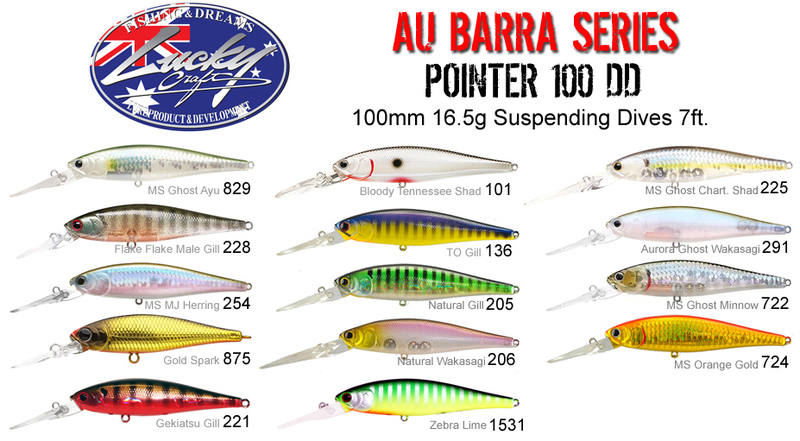 Shallow: available 100mm (18g Dives 4-5ft). and 128mm (30g Dives 1-3ft.) The go to bait with an absolutely deadly twitching action. 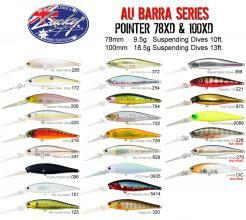 A short twitching retrieve will generate a ‘walk the dog’ action under the water, this is a proven barra catcher. 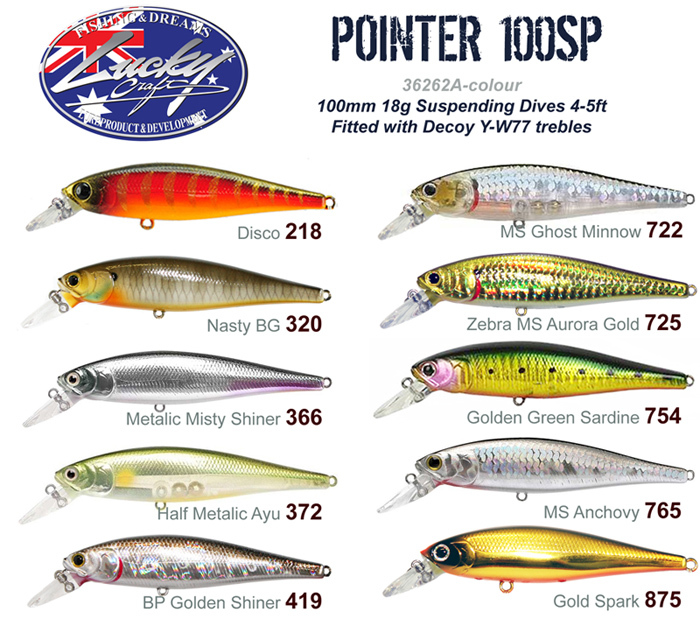 Deep Diver (DD): available in 48mm (3.5g) and 100mm (16.5g), the suspending DD Pointer dives to the 6-7 foot zone and has a large body which produces a unique action when strongly jerked. 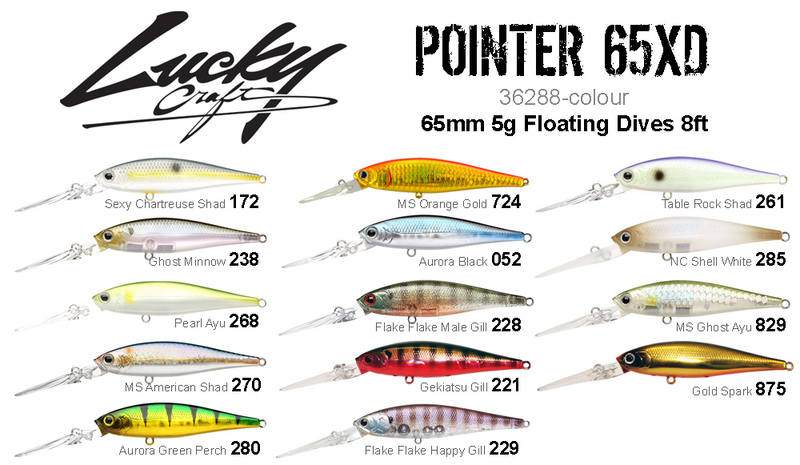 The number one 'power' bait in the Lucky Craft family. 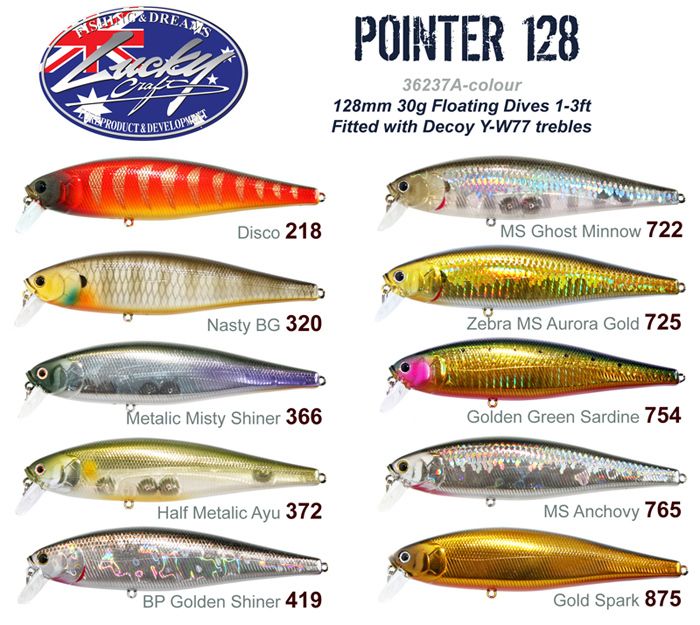 The DD pointer will still produce a ‘walk the dog’ action underwater with a twitching retrieve and suspend in the strike zone to tempt shut down fish or pressured fish. 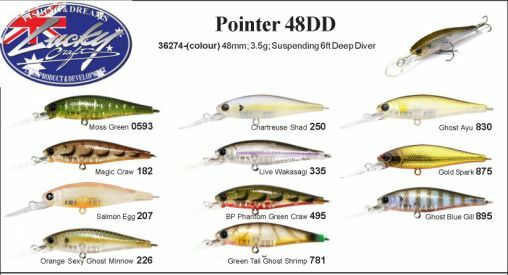 Extra Deep (XD): available in 65mm (5g), 78mm (6.5g) and 100mm (18.5g), the XD Pointer will easily reach depths of 10 feet or more without losing its wobble or erratic action and while still being fished fast. 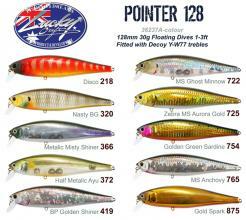 This allows anglers to cover more water, check more spots and keep the bait in the strike zone longer. 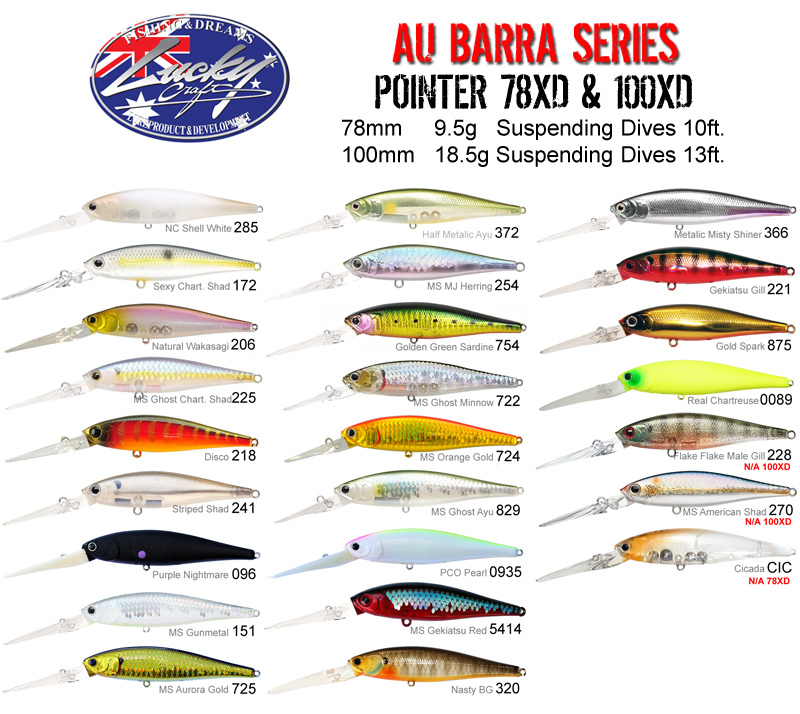 AU Barra Series: Designed specifically for Australian Barra and Jacks these lures are all fitted with strong Decoy W-77 trebles and proven fish catching colours. XD is available in 78mm (9.5g Dives 10ft) and 100mm (18.5g Dives 13ft) Slow floating in saltwater. 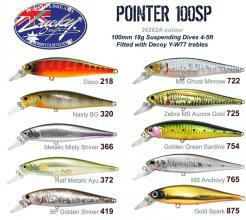 DD is available in 100mm (16.5g Dives 7ft) Slow floating in saltwater.